In the age of YouTube videos, online dating, and this Vine of a baby goat trying to walk on a hardwood floor, it’s normal to veg out after work with your laptop parked on its namesake: your lap. You probably do it every day, whether it’s on your couch, on your bed, or on the toilet. You might be doing it right now. But if you’ve ever singed your thighs on an overheated laptop, you might be wondering if there are any health concerns associated with resting a fire-hot, radiation-emitting electronic device directly atop your baby-making parts. Can sitting with your laptop on your lap be bad for you? Boxers, Briefs, or Commando? A Urologist Weighs In. What do we know about the health effects of laptops? Unfortunately, laptops are new enough that more research is needed to truly explore their impact on health, says Neil Korman, a professor of dermatology at the University Hospital of Case medical center in Cleveland. But you should know that permanent damage to your skin can happen. “The temperature [of a laptop] can cause a patterned discoloration on your skin, called erysipelas -- which literally means, ‘redness by fire,’” Korman says. The skin discoloration associated with laptop-to-skin contact is similar to what one would suffer from resting their legs on a space heater, or getting too close to an actual fire. While Korman promises it’s an “uncommon phenomenon,” and not life threatening, the discoloration that does happen is permanent. Meaning it’s for-ev-er. Additionally, patchy, red legs might make future hookups a little awkward, and could lead to some frantic Googling on your partner’s part. Will a laptop fry my fertility? 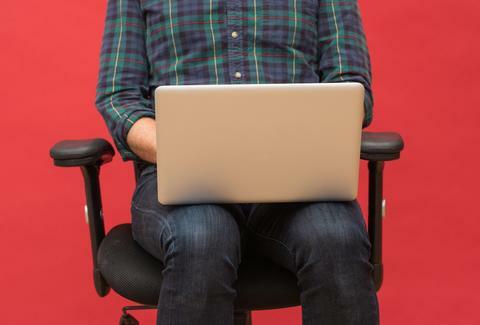 While the health risks of sitting with a laptop on your lap are poorly defined, we do know that wearing tight pants or briefs may cause a man to have a lower concentration of motile sperm (er, successful swimmers) in their joose, and driving a car for more than two hours a day can compromise sperm quality, says Allan Pacey, the head of Andrology for Sheffield Teaching Hospitals, where he’s in charge of the sperm banking service. One reason for this is that they increase heat to the scrotum, which can damage your sperm. And since studies have found a direct correlation between laptop use and increased scrotal temperature, Pacey thinks laptops are pretty bad for your balls. It might not just be the heat, though. Another study found that exposing your balls to a wireless laptop connected to WiFi decreased sperm motility and caused DNA fragmentation by a nonthermal effect -- aka, it’s not just the heat that’s causing problems. Unfortunately, more research is needed to back up these studies, or prove them wrong. As for the ladies, since your ovaries are located inside your body and are less likely to be affected by external factors (like a hot laptop), you’re probably OK.
Do I need to get rid of my laptop if I’m worried about my sperm and skin? 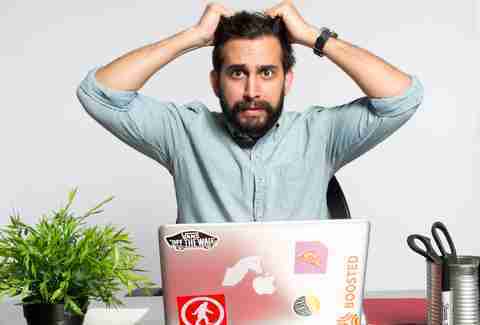 If you use your laptop cautiously, you’re probably just fine. Everyone can benefit from Pacey’s recommendation: Use your laptop on a table or other hard surface -- maybe an old college textbook you paid $300 to never read? -- to minimize the time that it’s actually on your lap. More generally, why are you on the computer so much?! Get outside and breathe some fresh air! Given the ubiquity of laptops, it’s a bit surprising that there hasn’t been more research done on what they may or may not be doing to your body. The bottom line, though, is that you really don’t want all that heat near an extremely sensitive area, so try to switch up your positioning the next time you fall down a Reddit rabbithole. 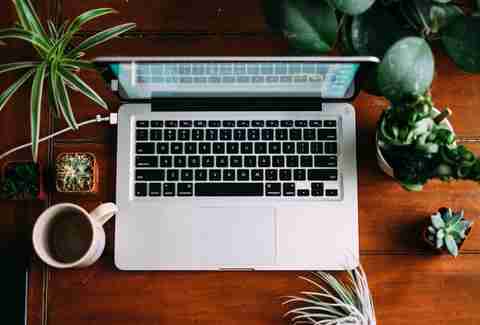 Erin Kelly is a writer, runner, and triathlete living in NYC who vows to change her laptop habits after writing this article. Follow her on Twitter at @erinkellysays.